For a selected listing of new and classic books about Abraham Lincoln, whose 200th birthday is in February, we are asking booksellers, librarians and others to send us nominations with a short note about why they are recommending the books. Please write Lincoln in the subject line and send here. Thank you! Online sales during the first full business week of December rose 9% to $3.74 million, according to comScore (as reported by Retailer Daily and Seeking Alpha). The best-performing categories were sport and fitness, up 35%, and consumer electronics, up 24%. Book and magazine sales rose 10%. "The online holiday shopping season has picked up noticeably since Thanksgiving as consumers have given in to the holiday spirit--and very attractive retailer discounts," comScore chairman Gian Fulgoni said. At a reception yesterday at the White House with Dr. Halima Bashir, who near her remote clinic in Darfur was tortured and gang-raped after speaking out about rapes of girls, President Bush held a copy of her book, Tears of the Desert: A Memoir of Survival in Darfur (One World/Ballantine), the AP reported. He called Bashir a "brave soul." Borders lands next Monday at the Philadelphia International Airport, opening its second store in the airport. The 909-sq.-ft. store will be between Concourses D and E and offer 7,000 book and audiobook titles as well as DVDs, CDs, gifts and stationery. The Burlington Free Press has a Q&A with Natacha Liuzzi, who recently opened Brown Dog Books & Gifts in Hinesburg, Vt. While working as a children's librarian, a preschool teacher and at several area bookstores, she always had a "dream to own my own bookstore." Brown Dog Books & Gifts offers "lots of groovy stuff," she added. Allegory Books & Music, Gleneden Beach, Ore., is celebrating 30 years in business this month. Voyageur Bookstore, Craig, Alaska, has transformed itself into Wheelhouse Coffee Roasters and will sell coffee and sidelines but no longer any books. Owner Gail Slentz told Footnotes: "Over the course of the last three years high speed Internet has made its way into most every household and business in our remote corner . . . Combined with some astronomical freight prices, non-existent free freight programs and an economy in recession, it is no longer financially feasible for me to be a general bookstore. I, like many who have fallen before me, cannot compete with Amazon.com prices and free shipping." In the Philadelphia Inquirer, Larry Robin, who is closing the street-level part of Robin's Book Store and no longer selling new books (Shelf Awareness, November 18, 2008), described his new operation "a cultural salon." He will sell used books and host signings, readings and performances. For a piece headlined "Cheetah Heels and Monsters," New Yorker magazine's Book Bench blogger Andrea Walker reported on "the inaugural meeting of the Marie Claire live book club, where editors from the magazine discussed Lauren Groff’s début novel, The Monsters of Templeton, at the McNally-Jackson bookstore, in SoHo." The event played to an SRO crowd, and was described by Walker as "the most stylish literary reading I attended in 2008. Two women wore cheetah-print heels; another, black patterned tights and a satin-y, bright-pink bubble-style skirt." Fashion notes aside, however, the "editors asked probing questions but kept the tone conversational; readers of their monthly discussions, in the magazine, will know that they aren't afraid to criticize." Scott Makarchuk, who became the owner of Books and Memories, Syracuse, N.Y., in September, has "revamped the look and focus of the store, while still keeping up some of the familiar traditions," according to the New Times. Makarchuk "now thinks of the store as a bookstore cafe. 'The atmosphere is a giant cafe with books as decoration.' His vision for the place also includes rethinking the traditional bookstore as more of an 'entertainment exchange.' He said the store trades in movies, games, posters, magazines, CDs and other media, not just books." He doesn't believe this focus will lessen the quality and depth of his books selection. "We try to keep a really rich variety in every section." Boing Boing spotted artist Jennifer Khoshbin's music boxes made from old books. Congratulations to Chris Finan, president of the American Booksellers Foundation for Free Expression and outgoing chair of the National Coalition Against Censorship, who has been elected 2009 chair of the Media Coalition, which is dedicated to "defending the First Amendment rights of publishers, booksellers and librarians, recording, motion picture and video games producers, and recording, video and video game retailers in the United States." Earlier in his career, Finan worked at the Media Coalition as a staff member. 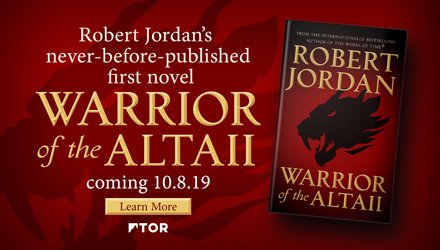 He's also the author of From the Palmer Raids to the Patriot Act: A History of the Fight for Free Speech in America and Alfred E. Smith: The Happy Warrior. Phyllis Azar has been promoted to executive director of marketing. She had run the advertising and promotion department for almost 10 years and was previously ad/promo director. Patty Garcia has been promoted to director of publicity from associate director of publicity. Brian Vaughan has been promoted to the new position of director of publishing operations. He was formerly marketing manager. Joseph Bendel has been promoted to the new position of manager of publishing operations. He was formerly assistant sales/marketing manager. Jennifer Kaufler has been promoted to marketing manager. She previously served as marketing coordinator. Effective next March 16, manga publisher Go! Comi will be distributed in the U.S. and Canada by PGW. Go! Comi CEO David Wise commented: "Our business has grown very quickly since we started out four years ago, and we believe that PGW will help increase sales through traditional book outlets, as well as continue the growth in comic book and other specialty markets." The new distribution arrangement launches with 11 spring 2009 titles, including additions to the Bound Beauty and 07-GHOST series, along with several debut titles. While two mystery titles--P.D. James's The Private Patient and Anne Perry's A Christmas Grace--are the No. 2 and 3 bestsellers at Mystery Lovers Bookshop, Oakmont, Pa., this season, the No. 1 title has nothing to do with crime. It's The Fallingwater Cookbook: Elsie Henderson's Recipes & Memories by Suzanne Martinson. Although primarily a specialty store, Mystery Lovers carries books in other genres because it's the only bookstore in the community. In addition, special orders for the holidays are "way ahead of last year," said Mary Alice Gorman, who owns Mystery Lovers Bookshop with her husband, Richard Goldman. "I think it's a convenience thing, and also that people are trying not to go into stores because they'll spend more money." The store's holiday gift guide showcases a range of books, from David Liss's historical mystery The Whiskey Rebels and Thomas L. Friedman's Hot, Flat, and Crowded to a pop-up edition of The Nutcracker (the theme of the store's window display this year). Leading in children's book sales are Lemony Snicket's The Lump of Coal and Tomie dePaola's pop-up Brava, Strega Nona!. Mystery Lovers stocks such sidelines as games, puzzles, calendars and gourmet coffees and teas. A popular present is the "Disappearing Dinosaur Mug." When the cup is filled with hot liquid, the colorful dinosaur decorating it transforms into a skeleton--like the ones on display in the revamped dinosaur hall at the Carnegie Museum of Natural History in nearby Pittsburgh. Sales of games and jigsaw puzzles--more than 200 varieties are stocked during the holidays--have increased this year because cost-conscious consumers are attracted to them. "Giving a family gift is more appealing than buying four or six separate ones," said Gorman, who recommends Bananagrams ("a less competitive, no-math version of Scrabble") and the card game Blink. Overall, store profits are down 1%. "It's not that sales are down," Gorman said. "It's that expenses have gone up--garbage removal, shipping, utilities, you name it." Online sales account for just under half of the store's business. The store offered free shipping on website orders for four days, beginning the evening before Thanksgiving and ending at midnight the following Monday. "Although we ship to all states, we had a huge number of online orders from local people on Cyber Monday," Gorman said. The store was bustling, too, over Thanksgiving weekend, including a number of customers who were shopping early to allow time for shipping gifts to out-of-town recipients. New this season is a promotion offering a $10 gift certificate with every purchase of $100 or more. Although it's offered for both in-store and website sales, said Gorman, "we've done it to be competitive online." Gorman is "guardedly optimistic" about the holiday season, due in part to steady purchases of gift certificates, which so far are on par with last year. This might contribute to substantial traffic the day after Christmas due to one of the store's marketing strategies. Every gift certificate comes with a special offer: if it's redeemed on December 26, the least expensive paperback a customer buys is free. Tonight on the Charlie Rose Show: Thomas Friedman, author of Hot, Flat, and Crowded: Why We Need a Green Revolution--and How It Can Renew America (Farrar, Straus & Giroux, $27.95, 9780374166854/0374166854). Tomorrow on the View: Carrie Fisher, author of Wishful Drinking (Simon & Schuster, $21, 9781439102251/1439102252). She also appears tomorrow night on the Late Show with Conan O'Brien and on the Late Late Show with Craig Ferguson. Tomorrow on the Tavis Smiley Show: Niall Ferguson, author of The Ascent of Money: A Financial History of the World (Penguin Press, $29.95, 9781594201929/1594201927). Tomorrow night on Larry King Live: Alec Baldwin, author of A Promise to Ourselves: A Journey Through Fatherhood and Divorce (St. Martin's, $24.95, 9780312363369/0312363362). Also on Larry King: Joy Behar, author of When You Need a Lift: But Don't Want to Eat Chocolate, Pay a Shrink, or Drink a Bottle of Gin (Crown, $19.95, 9780307351715/0307351718). This Weekend on Book TV: Will Terrorists Go Nuclear? Concerning The Argentine, the first part of Steven Soderbergh's two-part movie on the life of Che Guevara, which opens tomorrow, while Ocean Press has the tie-in edition of Che's Motorcycle Diaries, Grove Press has several related titles. One is Che Guevara: A Revolutionary Life by Jon Lee Anderson, who has been a consultant on the film and is doing press for it. Grove calls the book "the definitive biography." The other two books are by Che himself: Back on the Road: A Journey Through Latin America (the "second Motorcycle Diaries") and The African Dream: The Diaries of the Revolutionary War in the Congo. A photograph of a simple stone pulpit surrounded by hedges and leaves nicely sets up the theme of this collection of poems and black-and-white photographs about Nashville sculptor William Edmondson's (1874-1951) works: the idea of God speaking to and through the sculptor. 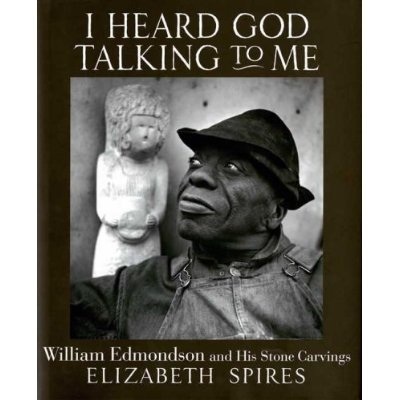 This is not a religious book but rather celebrates Edmondson's quiet proclamations of divine inspiration. Spires, who seamlessly toggled between the poems of Emily Dickinson and those of a resident mouse in The Mouse of Amherst, here weaves together Edmondson's own words (taken from interviews) into a quartet of poems; Spires also contributes 19 of her own. His poems open a window into his process ("I had a vision./ I was just a boy, about thirteen, fourteen years old, doing in the cornfields./ I saw in the east world./ I saw in the west world./ I saw the flood/ . . . / God, He just showed me how"), hers provide a meditation on the piece itself, often assuming the voice of the sculpture. We asked Shelf Awareness people for their 10 (or so) favorite books of the past year. Most of them were published in 2008, but not all, since we wanted to know what gave them reading pleasure no matter the pub date. In Defense of Food by Michael Pollan (Penguin Press). The author says it best: "Eat food. Not too much. Mostly plants." A potentially life-changing book. The Brass Verdict by Michael Connelly (Little, Brown). Harry Bosch and Mickey Haller team up in gloriously dark Los Angeles; Connelly at his best. The Forgery of Venus by Michael Gruber (Morrow). A mind-bending tale of art, forgery and identity from a consistently brilliant writer. High Crimes: The Fate of Everest in an Age of Greed by Michael Kodas (Hyperion). A chilling tale of mayhem atop the world's highest peak. Unputdownable. Hurry Down Sunshine by Michael Greenberg (Other Press). A father's deeply affecting and poetically rendered account of his daughter's sudden descent into madness. Songs for the Missing by Stewart O'Nan (Viking). The haunting story of a teenage girl's disappearance and how it affects her family and her entire town. In the Dark by Mark Billingham (Harper). Dark British crime fiction by a master of the genre. An Exact Replica of a Figment of My Imagination by Elizabeth McCracken (Little, Brown). McCracken's beautifully written account of the death of her unborn child days before his birth is sad, angry, funny and ultimately uplifting. John Lennon: The Life by Philip Norman (Ecco). A thoughtful, thorough and highly compelling re-examination of the life of John Lennon, full of new information and insights. The Oxford American Book of Great Music Writing edited by Mark Smirnoff (University of Arkansas Press). Dozens of truly great writers offer their insights on everything musical from Bessie Smith to Southern Rock. A must-have for any music lover. Splat the Cat by Rob Scotton (HarperCollins). Rob Scotton follows up his adorable "Russell the Sheep" series with an equally engaging new character, Splat. Too cute for words; not to be missed. Concrete Reverie: Consciousness and the City by Mark Kingwell (Viking). For me, this book was bracing, fun and stimulated a million ideas even while discussing the limiting thought processes we inherit from Rene Descartes. Waking Giant: America in the Age of Jackson by David Reynolds (Harper). Proof that history can be thrilling reading. The Customer Is Always Wrong: The Retail Chronicles edited by Jeff Martin (Soft Skull Press). I laughed so hard I almost lost a contact lens: what more can one say? My Life in France by Julia Child with Alex Prudhomme (Knopf, 2006). I tend to buy books, stack them in a pile and finally get around to reading them. The joys this book brought me I could have used in 2006, but I'm glad I got to it as soon as I did. All the King's Men by Robert Penn Warren (1946; Harvest, 2006). I've changed my vote for Great American Novel to this one. How could I never have read it before? The Kingdom of this World by Alejo Carpentier (1949; FSG, 2006). A great (truly) Cuban writer in dazzling form. Talk about great political novels! The Conformist by Alberto Moravia (1951; Steerforth Press, 2004). Bertolucci's film of this novel is one of my favorite movies, and I finally discovered that the book is equally wonderful. White Chameleon by Christopher Hampton (Faber & Faber, 1991). A memory play set in Alexandria just as King Farouk was being ousted: complex, fierce, charming and beautiful. Conversations after a Burial by Yasmina Reza (Faber & Faber, 2001). Great playwrights can establish a character in four words of dialogue. Reza can do it in two. City of Thieves by David Benioff (Viking). David Benioff's second novel is a modern masterpiece, one worthy of occupying the same shelf as wartime classics like Catch-22 and Slaughterhouse-Five. Unaccustomed Earth by Jhumpa Lahiri (Knopf). It's an emotionally astute, character-driven assortment of stories that carry forward and deepen the themes she's explored in her previous works. Indignation by Philip Roth (Houghton Mifflin). Of how many writers can it be said that they're still producing some of their best work well into their 70s? Philip Roth proves beyond any dispute that he deserves to be counted in that select group. The Garden of Last Days by Andre Dubus III (Norton). Richly imagined and profoundly atmospheric, it carves out a slice from the netherworld of American life that's both stark and compassionate. Home by Marilynne Robinson (FSG). Home is an estimable companion to Robinson's Pulitzer Prize-winning Gilead. In gorgeous prose and with great wisdom, she examines the things that bring families together and drive them apart. American Lion: Andrew Jackson in the White House by Jon Meacham (Random House). Thanks to this wise and nuanced portrait of Andrew Jackson, it's possible to see the historical link between Jackson's era and ours, no matter how improbable this may have appeared to Barack Obama's predecessor of nearly two centuries ago. The Book of Calamities: Five Questions About Suffering and Its Meaning by Peter Trachtenberg (Little, Brown). Trachtenberg weaves compelling strands of reporting, memoir, philosophy and theology to offer a thoughtful, many-sided portrait of the problem of human suffering. A Voyage Long and Strange: Rediscovering the New World by Tony Horwitz (Holt). Tony Horwitz's historical travelogue through the almost 150 years of exploration that predated the Pilgrims' arrival at Plymouth Rock is an intellectually stimulating and consistently entertaining book. The Night of the Gun: A Reporter Investigates the Darkest Story of His Life, His Own by David Carr (Simon & Schuster). This pungent, raw, searingly honest book grabs you by the throat and wrestles you to the ground with the force of its narrative and then lifts you up with its redemptive power. The Delighted States: A Book of Novels, Romances, & Their Unknown Translators, Containing Ten Languages, Set on Four Continents, & Accompanied by Maps, Portraits, Squiggles, Illustrations & a Variety of Helpful Indexes by Adam Thirwell (FSG). The Delighted States is a charming, lucid work, guaranteed to ignite sparks of curiosity in the minds of readers willing to follow Adam Thirwell on a frequently circuitous, but always rewarding, path. Netherland by Joseph O'Neill (Pantheon). Some books continue to haunt me--in the best conceivable manner--for months, even years, after reading them, and this story of cricket, friendship and life in post-9/11 New York has already become one of those exquisite, unforgettable novels. A Fraction of the Whole by Steve Toltz (Spiegel & Grau). I love great narrative voices, and in this dazzling, ambitious novel we're blessed with two wry, irresistible and sometimes downright twisted perspectives in the functionally dysfunctional father-son combo of Martin and Jasper Dean. Breath by Tim Winton (FSG). This brilliant Australian novelist once again dazzles with a work that blends hardscrabble working-class life with the alluring and treacherous sirens' song of big-water surfing. The House of Widows by Askold Melnyczuk (Graywolf Press). I was absolutely on board for this intriguing journey, which moves not only from England to Austria to the Ukraine, but also through a perilous, mystifying landscape where family and history merge in compelling ways. The Spies of Warsaw by Alan Furst (Random House). A master craftsman who once again melds precise--yet elegant--narrative style with exhaustive research and a keen sense of how deftly to place ordinary people in unnerving, suspenseful and extraordinary circumstances. Seal Woman by Solveig Eggerz (Ghost Road Press). In this poignant and compelling novel, Charlotte, an artist, escapes post-World War II Berlin and her past to become a farmer's wife in Iceland, but this intriguing new world cannot erase her memories of the intense life--and love--she had to leave behind in Germany. What Makes a Child Lucky by Gioia Timpanelli (Norton). This beautifully written tale of childhood danger, survival and redemption in Sicily is eloquently tempered with an illuminating portrayal of the landscape. The White Tiger by Aravind Adiga (Free Press). The Man Booker Prize winner is a big, important novel about India and class and ambition and hard-won perspective, all concentrated in a deceptively small package. On Reading, photographs by Andre Kertesz (Norton reissue). Talented readers will fall in love big time with this gorgeous and evocative collection of black and white shots from the legendary photographer. Inverted World by Christopher Priest (NYRB Classics). An amazing, deeply human speculative novel, set in a post-apocalyptic world that is both alien and yet unsettling in its familiarity. Finding Nouf by Zoë Ferraris (Houghton Mifflin). A literary mystery set in Saudi Arabia that explains much about that country while charming you with the two protagonists, a conservative Muslim and a woman who works for the state coroner. Their sometimes-perilous, often fractious relationship gives this book its heart. The Book of Matthew by Thomas White (McBooks Press). Thomas White has written a superb, adrenaline-laced thriller, filled with black humor, sharp dialogue and a roller coaster plot. He has nailed it with this book. The Guernsey Literary and Potato Peel Society by Mary Ann Shaffer and Annie Barrows (The Dial Press). It seems like everyone knows about this book, but if you haven't yet read it, be good to yourself right now and do so, then give copies to friends and relatives. The Silver Linings Playbook by Matthew Quick (FSG). A sweet, funny novel about a man's path back from heartbreak, starring a former high school teacher and the Philadelphia Eagles. In refusing to be defeated by pessimism, he learns about true silver linings, not pretty happy endings. A Guide to the Birds of East Africa by Nicholas Drayson (Houghton Mifflin). An enchanting book, with a deft political bite, about a Nairobi widower and his unspoken yet passionate love for a widow. It will beguile any reader who appreciates sharp wit and gentle charm. Safe Passage by Ida Cook (Harlequin). A memoir of two sisters, Ida and Louise Cook, who followed their passion for opera into a harrowing time of rescuing refugees from Nazi Germany. It's charming, harrowing and witty, filled with courage and exuberance. Soldier's Heart: Reading Literature Through Peace and War at West Point by Elizabeth Samet (Picador). Literature and the military life may seem like an odd juxtaposition, but Samet, after a decade of teaching at West Point, explains how they mesh; at the same time, she easily smashes stereotypes about West Point. Heart in the Right Place by Carolyn Jourdan (Algonquin). Jourdan had a fulfilling, high-powered life in Washington, D.C., but moved to rural Tennessee to help at her father's clinic for what she thought would be a few days. As the days turn into weeks, her life changes profoundly. It's a warm, often hilarious, moving memoir. Sing Them Home by Stephanie Kallos (Atlantic Monthly Press). Officially a 2009 pub, it's out now, so I can include it, most enthusiastically. This novel about three siblings and the loss of their mother in a tornado 25 years ago is a sublime exploration of family ties and secrets. Sing Them Home is a book you'll never want to finish. The Perfect Scent by Chandler Burr (Holt). This fascinating story about the creation of two perfumes in France and New York is told with absolutely divine writing. Burr's prose is as heady as the scents he describes. The Absolutely True Diary of a Part-time Indian by Sherman Alexie (Little, Brown, 2007). I have been an Alexie fan since The Business of Fancydancing in 1992, but this completely blew me away. Funny, bitter, ultimately redeeming--a flawless piece of writing. Lucky Dog by Mark Barrowcliffe (Griffin, 2006). A poker player whose business and love life are going down for the count takes on a dog, a talking dog who only he hears. The dog is smart and sarcastic, and this book will make you laugh and warm your soul.